Extract organic matter from the soil and all you would have is dust and dirt. You may have some moisture but that would not be enough to harbor growth. You can grow any plant, certainly not the ones that you want in your garden, without organic matter in the soil. Soil has trillions of microorganisms. One small spoonful of soil will have billions of microorganisms, more than the human populace on earth. We needlessly get worked up with pests, insects or bugs. It is the organic decomposition of these that soil gets enriched with. 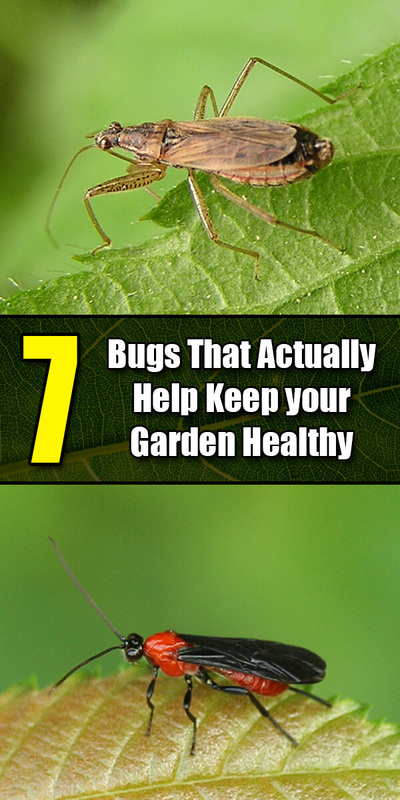 While some bugs are unhealthy for your garden, some are not. Some bugs are actually good for your garden. Let us explore some of these wonder bugs that your garden will benefit from. Aphid midge can counter the midges that are drawn to the gardens by pollen plants. The aphid midge feeds on around sixty species of midges. Braconid wasp is useful as it lays its eggs and injects them into insects that become the hosts. Among the insects, braconid wasp particularly prefers beetle, moths, caterpillars, aphids and larvae. Once the eggs are injected, the larvae feed inside the host and eventually the host dies. You can grow wild carrots, dill, yarrow and parsley to attract braconid wasps. Damsel bugs are also useful as they feed on small caterpillars, aphids, leafhoppers and many other pests including thrips. Damsel bugs are particularly beneficial if you are growing vegetables. Ground beetle is a predator that feeds on snails, slugs, cabbage maggots and cutworms. One ground beetle can feed on more than fifty caterpillars. Lacewing eats scales, caterpillars, thrips, aphids, whiteflies and mealybugs. Grow cosmos, angelica, sweet alyssum and coreopsis to invite lacewings to your garden. Lady beetle will eat mites, aphids and mealybugs in your garden. You can grow yarrow, fennel, dill, angelica and coreopsis to lure in the adult lady beetles. Pirate bug is a predator and will gorge on insects. Daisies and alfalfa along with goldenrods and yarrow will invite the minute pirate bugs. Other bugs that you want in your garden are soldier beetles, spined soldier bug and tachinid fly. Since you would be getting rid of insects and pests using bugs, you don’t really need insecticides or pesticides. This is an organic way to keep your garden clean and healthy. Also, the organic decompositions of the bugs will nourish the soil. ← No Time? No Money? No Problem! How to Get a Garden Going for Free!